When Dan O’Bannon first conceived of his science fiction/action/horror story – about an alien hunting a crew through a spaceship – he could little have known that his idea would lead to a multi-billion-dollar multimedia franchise, one that would still be adding instalments over four decades and counting. That simple premise for Alien – which, in its execution, was essentially a haunted house horror film set in space – launched novelizations, video games, comic books and, most crucially, an ongoing film series that now mixes genre and franchise to build its cohesive universe. Heavily influenced by a range earlier films, such as 1951’s The Thing From Another World, and 1956’s Forbidden Planet, Dan O’Bannon’s initial creation led to a screen villain whose own nature was so detailed, and whose own story was so intriguing, that its evolution has provided the terrifying framework of this sprawling series, which spans space and time – from the beginning of humanity, to the year 2379. The Xenomorph is the stuff of nightmares. Unhindered by any conscience beyond its determination to survive, its singular focus is reproduction, infiltration and the perpetuation of its species. But it’s also a symbiotic creature when we first meet it – requiring a host, which also results in multiple versions of the creature due to its taking on of some of its host’s characteristics. With a physiology mapped out by O’Bannon, the creature was brought to life by a combination of design (by H.R. Giger), and practical effects (by Carlo Lombardi), and the seed for a science fiction legend was sown. From the deceptively straightforward idea of having this Xenomorph come face-to-face with humanity, Alien began a narrative that has consistently expanded to reference countless, giant questions – regarding both existentialist ideas and issues of morality. 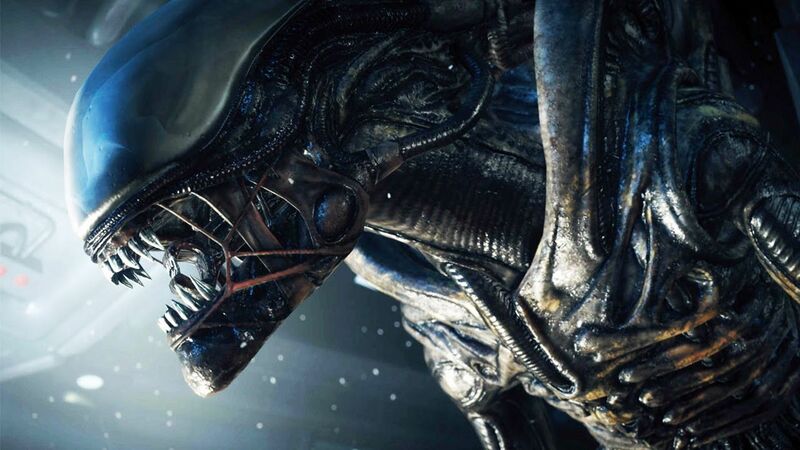 From fate and destiny, to evolution and the origin of different species; from corporate greed, to physical sovereignty and consent; from the importance of faith, to the nature of science; from colonialism and political corruption, to family and individual freedoms – Alien is a cinematic universe whose potential is as infinite as the space in which it unfolds. But, that’s not to say that the endeavour is uniformly excellent. Perhaps more than any other, the Alien Universe is one whose critical success lives and dies by the efforts of those at the helm. While other franchises – such as Marvel and Star Wars – are buoyed through instalments of lesser quality by brand loyalty, Alien movies have always faced a less forgiving reception – with Alien and Aliens invariably (and rightly) held as the best in the franchise, if not the genre. With that in mind, all eyes are now on Ridley Scott’s Alien: Covenant, which is set to be released on May 19th. So, as we wait to see where this prequel falls in terms of overall quality, and how it ties in to the Alien Universe as a whole, let’s take a whistle-stop tour through the series and refresh our memories of the Alien story, so far.